As Delhi and parts of the Indo-Gangetic Plain were getting engulfed in a thick cloud of dust last week, a question kept coming to my mind: Is there any similarity between the recent dust storms in India and the duststorms that hit the Great Plains of the United States (US) in the 1930s and turned it into a Dust Bowl? I will stick my neck out and say that there are. Let me elaborate. The Dust Bowl, considered one of the greatest human-made ecological disasters, was a period of severe dust storms that lasted nearly a decade, starting 1931, and engulfed large parts of the US. The dust storms originated in the Great Plains—from states like Texas, Oklahoma, New Mexico, Colorado and Kansas. They were so severe that they choked everything and blocked out the sun for days. Sometimes, the storms travelled thousands of kilometres and blotted out monuments such as the Statue of Liberty. Citizens developed “dust pneumonia” and experienced chest pain and difficulty in breathing. The storms damaged the soil in around 100 million acres of land, leading to the greatest short-time migration in US history—with approximately 3.5 million people abandoning their farms and fields. Obviously, we have not yet experienced such a high level of ecological disaster in India. But can we say that we will not experience it in the future? Dust storms are an annual weather pattern in the northern region of India comprising Delhi, Haryana, Punjab, Uttar Pradesh and Rajasthan and the Punjab and Sindh provinces of Pakistan. But they are normally low in intensity and accompanied by rains. In fact, people welcome dust storms as they bring down temperatures and herald the arrival of the monsoons. But the dust storms that have hit India since February this year have been quantitatively and qualitatively different from those in the past. They are high-powered storms travelling long distances and destroying properties and agricultural fields. Since February, they have affected as many as 16 states and killed more than 500 people. Cities like Delhi were choked in dust for days, with air quality level reaching the “Severe” category on most days. So, is this the beginning of the Dust Bowl in India? To answer this, let us compare the conditions that led to the Dust Bowl in the US with the situation in India. The Dust Bowl areas of the Great Plains in the US are largely arid and semi-arid and prone to extended periods of drought.The ecology of the area originally supported grasslands (prairies) and a large bison (Bison bison) population. The US federal government encouraged settlement and development of large-scale agriculture by giving large parcels of grasslands to settlers. Waves of European settlers arrived at the beginning of the twentieth century to convert grasslands into agricultural fields. At the same time, technological improvements allowed rapid mechanisation of farm equipment, especially tractors and combined harvesters, which made it possible to operate larger parcels of land. For the next two decades, agricultural land grew manifold and farmers undertook extensive deep ploughing of the topsoil with the help of tractors to plant crops like wheat. This displaced the native, deep-rooted grasses that trapped soil and moisture even during dry periods and high winds. Then, drought struck. Successive waves of drought, which started in 1930 and ended in 1939, turned the Great Plains into bone-dry land. As the soil was already loose due to extensive ploughing, high winds turned them to dust and blew them away in huge clouds. The dust storm regions of India and Pakistan too are largely arid and semi-arid. But they are at a lower altitude and hence, less windy compared to the Great Plains. But, as we will see later, this too is altering due to climate change. Though settled agriculture was always practiced in this part of India, it was subsistence in nature. This began to change post the 1880s, when the British introduced large-scale canal irrigation in the region. 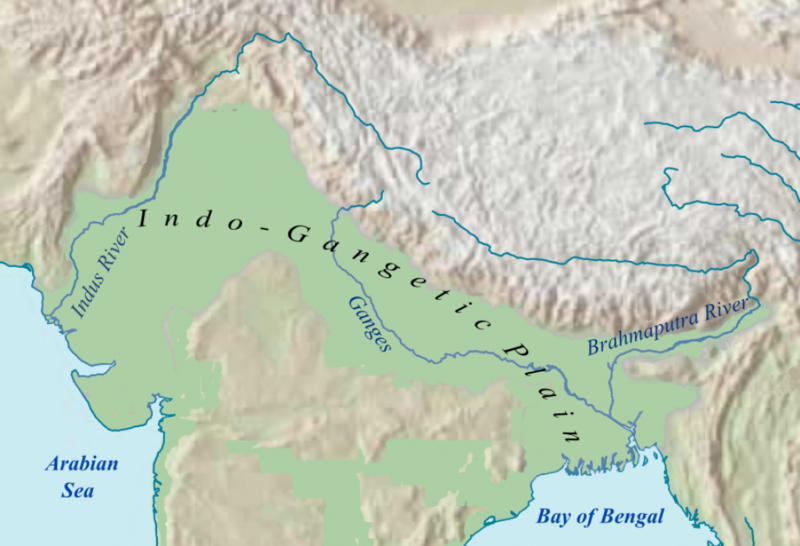 The Punjab Canal Colonies were settled by the British in western Punjab, now in Pakistan, to bring large swathes of land under cultivation. A dense network of canals built in Punjab, Haryana, Rajasthan and Uttar Pradesh to divert water from the Ravi, Satluj and Yamuna rivers irrigated millions of acres of land. The region became the largest producer of food grains, like the Great Plains of the US. And, like the Great Plains, this area is in the throes of an ecological disaster. Over the last 50 years, chemical- and water-intensive agriculture has replaced the traditional low-input agriculture. Canal irrigation has been overtaken by the groundwater irrigation. In addition, mechanised agriculture has led to deeper ploughing, loosening more and more top soil. The result has been devastating for the soil and groundwater. In most of these areas, the soil has been depleted and groundwater levels have fallen precipitously. In Delhi, Rajasthan, Punjab and Haryana, groundwater extraction far exceeds the recharge. The forests and natural vegetation have also diminished over the years. Being arid and semi-arid, this area had thorny, dry, deciduous forests and thorny shrubs that held the soil during long, dry months. But rampant clearing for agriculture, cities and mining have reduced the forest cover significantly. Haryana, Rajasthan and Punjab have forest cover in less than 5 per cent of their geographical areas; most of these are plantations, not forests. On top of the human-made ecological destruction, the natural climatic cycle along with climate change is affecting the weather pattern of this region. First, this area too is prone to prolonged drought. In fact, large parts of Haryana, Punjab, Delhi and western Uttar Pradesh have experienced mildly dry to extremely dry conditions in the last six years. The Standardized Precipitation Index (SPI), which specifies the level of dryness or excess rains in an area, of large parts of Haryana, Punjab and Delhi has been negative since 2012. Rajasthan, on the other hand shows a positive SPI or excess rainfall. But an analysis of the rainfall pattern indicates that most of the rainfall in Rajasthan has occurred in very few days; most parts of the year were without any rainfall. Second, this area is experiencing increasing temperatures. Over the past 100 years, the average annual temperature has increased by about 1oC. But the seasonal temperatures have increased even more. In fact, there seems to be a strong co-relation between the dust storms and the rapid increase in temperature. Maximum temperatures across northern and western India have been far higher than normal since April this year. Last, climate change is affecting the pattern of the Western Disturbances (WDs), leading to stronger winds and stronger storms. WDs are storms originating in the Mediterranean Sea region that bring winter rain to northwestern India. But because of the warming of the Arctic and the Tibetan Plateau, indications are that the WDs are becoming unseasonal, frequent and stronger. Now let us join the dots. Conversion of arid and semi-arid areas into intensive agriculture; unsustainable agricultural practices, and large-scale clearing of forests and natural vegetation that loosened the top soil; frequent dry conditions, increasing temperatures and rapidly declining groundwater that reduced soil moisture; and stronger winds and storms that picked up loose soil and blew them away in huge clouds. This is pretty much what happened in the Great Plains in 1930s. It is what is happening in India today. 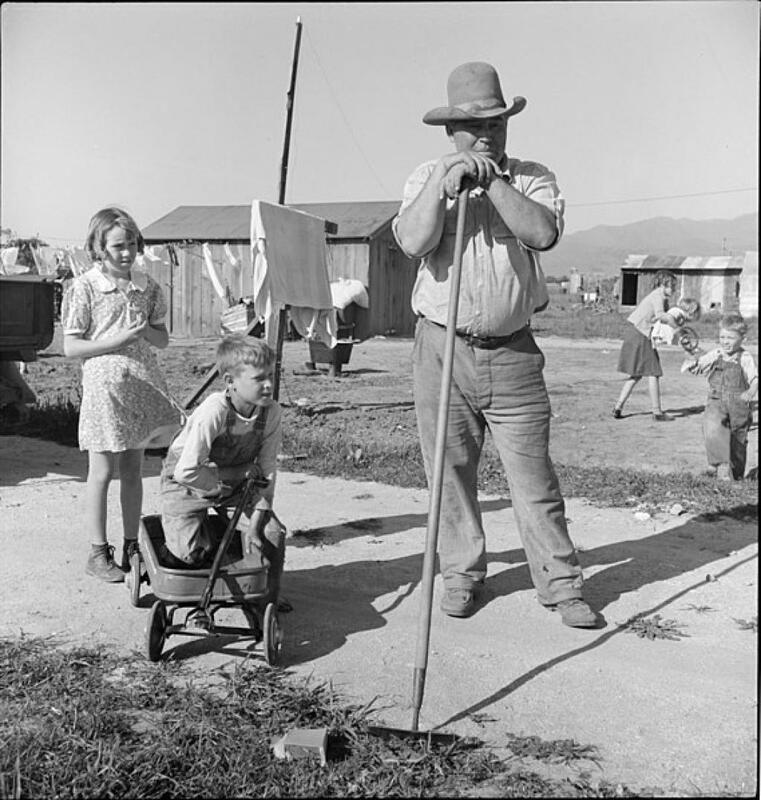 The Dust Bowl led the US government to initiate a large-scale land-management and soil-conservation programme. Large-scale shelter belt plantations, contour ploughing, conservation agriculture and establishment of conservation areas to keep millions of acres as grassland, helped halt wind erosion and dust storms. It is time India too recognizes its own Dust Bowl and initiates a large-scale ecological restoration programme to halt it. 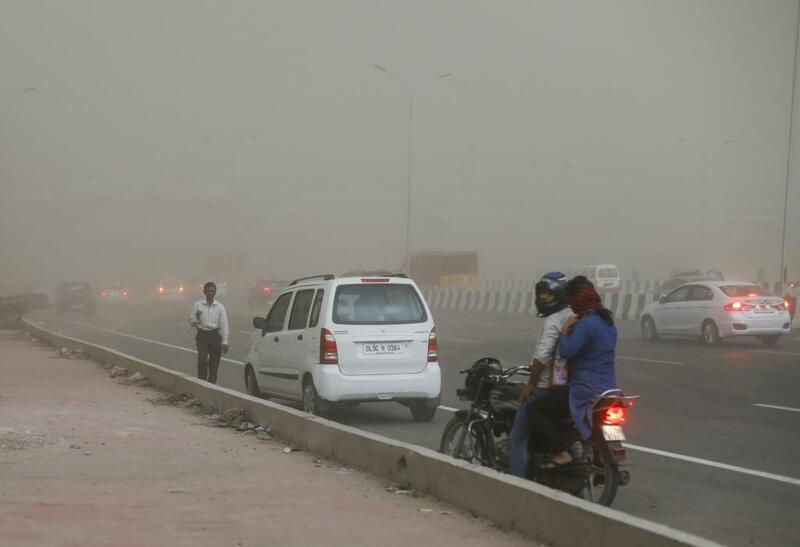 Else, we will see more intense dust storms, and a choked Delhi would be a permanent feature.